Earthspace is the psychedelic musical expression of young Brazilian groove maestro, Matheus Nogueira. With over a decade of sound tinkering savvy, he is already revered as one of the most dynamic & cutting-edge psytrance producers on the international circuit, having done remixes for and collaborated with some of biggest names in the scene. He is also half of the recently formed Melting Point (together with Braincell), as well as part of the infamous RaveCommision conglomerate. No matter the project, the pure passion he puts into every creation can be felt throughout his productions, with his full-power performances consistently elevating dancefloors into heaving frenzies of merry madness. 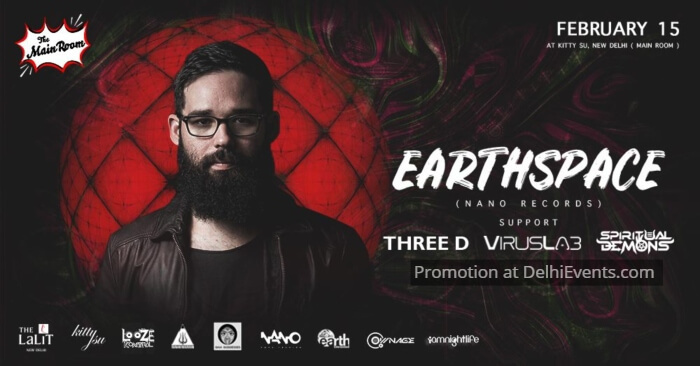 He recently joined the ranks of renowned Nano Records family, where he has unleashed his much anticipated debut album, ‘As Above So Below’.